Between 1980 and 2005, a serial arsonist terrorized neighborhoods throughout the Washington, DC, metropolitan area. 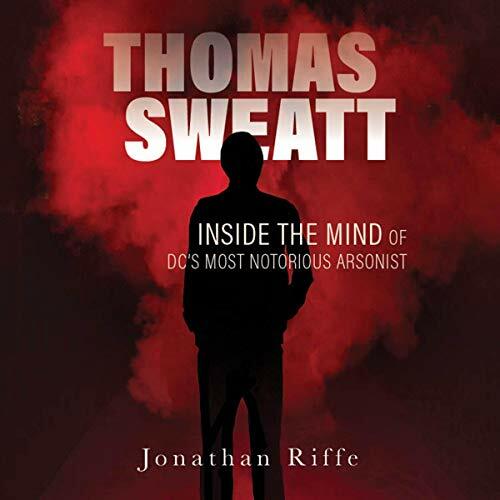 In 2005, Thomas Sweatt was arrested and eventually confessed to more than 340 arson-set fires that killed four people. Investigators named him the "most prolific and dangerous serial arsonist in American history". Dozens of authors, TV producers, and movie producers tried to contact Thomas in prison but were all unsuccessful. Only Jonathan Riffe was able to break through. For three years, Jonathan wrote and talked regularly to Thomas. This is his story in his words: a story of arson and murder, law and order, philological deviance, crime and punishment, and the terror of fire. The story of one man.